I received a confirmation letter from Cool Gear Inc. in regards to writing a review for one of their popular products the Fold Over lunch bag with a retail price of $15.99. It’s very pleasant that I can have the lunch bag not only for myself but also for my son. That is why; I preferred the unisex design So it can be used by anybody at home. · Very fast shipment, I love that I received the product within two days after the transaction made. · The design is absolutely what shows on the website. 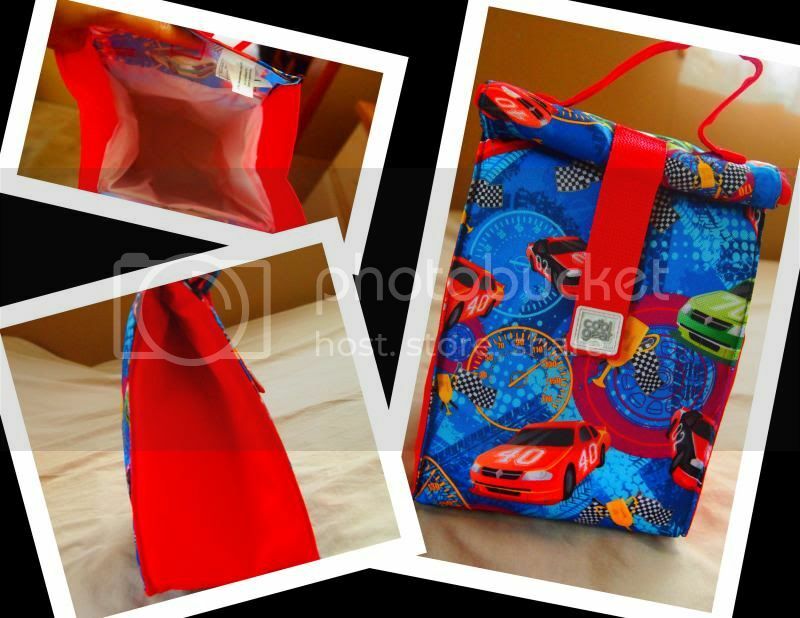 · I love the fabric of the lunch bag, looks sturdy, as well as the handle. It also has Velcro that holds between the opening and the bag. · Very handy, the bag is not oversize so it isn’t bulky to carry, even my 3 years old loves to carry the lunch bag himself. · It also insulated inside to secure the freshness of food longer. If you wish to purchase Cool Gear products, please visit them @ http://www.coolgearinc.com. They have varieties of merchandise you might want to check out. That’s right! Not only fold over lunch bags, they have hydrations bottles, travel mugs, customized products and more. You may also follow them on Facebook, Twitter, Pinterest, and Instagram see more. Nothing like getting exactly what you saw online! Oh, I would love those lunch bags for my kids. I don't need lunch bags yet, but in a few years I will when my daughter starts school. These might even be good to carry meats home from the grocery store! I have no need for a lunch bag. I love the idea of these being insulated to keep food cold. And they're cute too! My little grandson could use this bag for school. I will have to check them out. I really like the design the cars pattern is really nice. That is a cute lunch bag for kids. I like the cars in it and I'm sure my boys would love one. Will try to reach them too. cute lunch bag! i think my son would love to have one.